The Silkworm 2: Shades of and Keys to The Hogwarts Saga? Spoiler alert: Don’t read this if you haven’t read The Silkworm and if you want to read it without having had key plot points revealed to you beforehand. I’m guessing that it’s safe to assume that most readers of the Cormoran Strike mysteries are readers of the Harry Potter novels as well and that they chose to read these books because of their enjoyment of Ms Rowling’s previous work, to include Casual Vacancy. Or maybe despite Vacancy. Whatever. 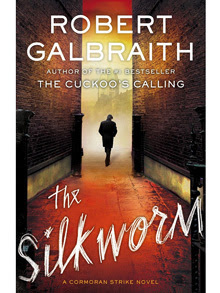 Reading The Silkworm, consequently, it’s only natural that we serious readers of the Hogwarts Saga be sensitive to what we hear or experience in this detective novel that seem to be echoes from the Boy Who Lived’s magical adventures. I want to make three observations for your comment and correction here, thoughts that will not include a list of fun correspondences (did you flinch when you read that you can “hear the rumbling of the traffic on Charing Cross Road’ from Strike’s flat? Me, too), but all of which, I think, put the Cormoran Strike novels in a new light. Spoiler alert: Don’t read this if you haven’t read The Silkworm and want to read it without having key points revealed to you before hand. There is more in this review of Kent’s weblog to which we will have to return, especially in discussing the choices of quotations for the chapter headings, but for starters I want to ask your thought on this passage with regard to two points. First, this pedantic aside in a weblog is a piercing representation of the affected wisdom available online in personal weBlogs (and, yes, I recognize the face in the reflection, alas). The insecurity, the excitement with ideas, the eagerness to speak with authority — all there brilliantly encapsulated in three short paragraphs. Showing-not-telling genius aside, at least for a moment, I think it likely that Ms Rowling here is also making a point that she wants to make with her readers and critics, many of whom praise her for the intricacy and cleverness of her plots. That’s not an empty bit of praise, of course, but it is not Rowling’s gift as an author. That would be her deft characterization — revelation of essence in short, quick descriptive strokes or conversation — and her ability to work the slow reveal in narrative exposition. The latter quality is exactly what Ms Kent spoke with her lover-mentor about and was sharing with her reader(s). Nice touch. 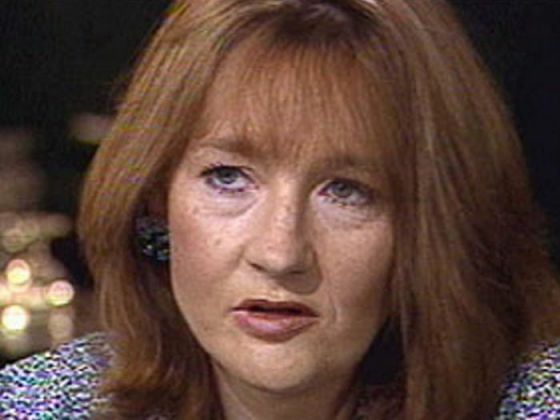 Next, I suspect that the red-headed Kathryn Kent is a snap shot of sorts of the nigh on desperate J. Kathryn Rowling, then a red head, when she was writing Harry Potter (and other things?) before she was discovered. I suspect it might be a portrait of how she imagines what might have become of Jo Rowling if the remarkable series of chance events did not raise her out of obscurity (for conversation with that young writer, see the interviews posted here last week). Or is that too far a stretch? I’ll be returning to this idea of embedded pictures from Ms Rowling’s autobiography in discussion of the title, which seems to be an argument that all fiction writing is author-distillation and, after a fashion, execution. For now, though, what do you make of this weBlog passage? Note: this was originally a comment to John’s first Silkworm post. Per our Headmaster’s request, I am hastily re-posting as a bona fide post, posthaste. Spoilers for The Cuckoo’s Calling and the first 12 chapters of The Silkworm below the jump. Having just finished The Silkworm, I think we can see represented below in this token sample of interviews from Ms Rowling’s past the struggling, prematurely aging, red-headed writer named Kath Kent, the blonde Robin coming to terms with her discovery of who she is, and the several literary celebrities whose self-importance is lampooned cover to cover. The Silkworm all but demands this kind of “personal; heresy” interpretation, as touched on yesterday, and which I’ll explain in greater detail next week. Until then, enjoy the remarkable transfiguration of Jo via this YouTube time capsule opening. True confessions time! I have not yet finished reading The Silkworm. Nonetheless, I have some thoughts I want to share about the book after only reading the first 28 chapters, what I think of as the first half of the book. This preemptive posting is not standard operating procedure at HogwartsProfessor, so let me explain why I’m commenting at significant length before having read all the way through. First, it’s a promise I made to myself after reading Casual Vacancy and again after finishing Cuckoo’s Calling. I made a commitment not to read straight through future Rowling efforts but to make notes on each chapter as I went along. I pledged to do this out of frustration and hope. The frustration was that I found it very difficult to stop and take notes through the whole book on my first second-pass because I was in speed-read mode rather than the mental framework for close-reading. I still haven’t finished the outlining of Vacancy or Calling the way I want. So far, so good. I’m 28 chapters in and I have made notes on each chapter, with thoughts about what the story seems to be about. Right now, I’m thinking it’s not unlike Chamber of Secrets and Prisoner of Azkaban in several ways. More on that in a minute. If you’re interested in what I think Ms Rowling is doing even though you’re well aware that I haven’t finished the book, take the leap over ‘the jump.’ This is almost as much fun, for me at least, as guessing the elements and plot points of the Harry Potter novels as they came out. Here, though, if I hit any bull’s eyes, readers will naturally be skeptical that I peeked at the finish or read some reviews. I’ll risk that — and the much more likely possibility that I will be miles off and embarrassed tomorrow when I try to finish my close reading. There are spoilers below, too, but only for plot points of the first half of the book and my guesses about the end! You’ve been told, pro forma.